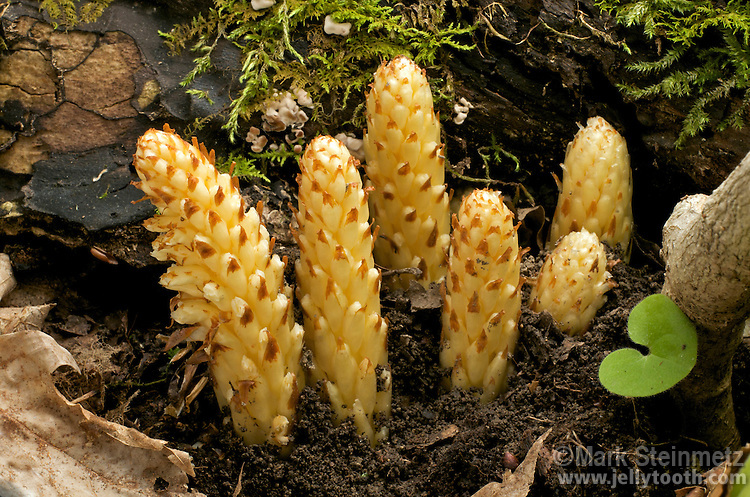 American Cancer-Root, aka Squaw-Root, (Conopholis americana). This plant species is root-parasitic, lacks chlorophyll, and has scale-like leaves. It is a favorite food of bears in early spring giving rise to another of its common names, Bear Corn. Mohican State Forest, Ohio, USA.